Picture yourself purchasing a can of Coke at the store. The store clerk picks it up to scan it at the register, but it lacks a scan-able barcode. Instead, the clerk moves the can in front of a scanner with image recognition technology. The system recognizes the red and white label as a can of traditional Coke and rings it up for you all while the scanner is checking to make sure the item is indeed genuine. This isn’t a scene from the latest futuristic Hollywood blockbuster but a rapidly approaching point in technology. Photo recognition is becoming a large scale reality. This technology has a fantastic potential application in replacing the way we traditionally think about barcodes, because the entire object becomes scan-able by itself. 1D Barcodes can only hold a maximum of 85 characters. 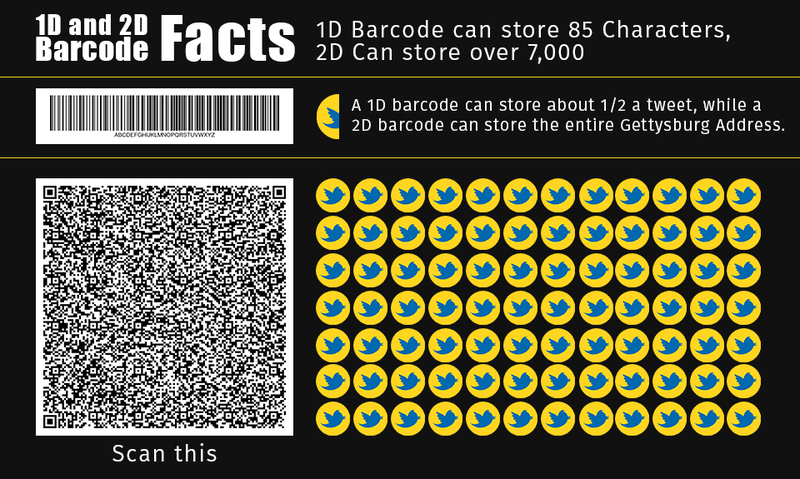 In contrast, 2D Barcodes can store over 7,000 characters, allowing you to transmit almost two paragraphs of information. By moving to 2D barcodes, businesses are able to convey much more complex information, like expiration dates and serial numbers, all without the need for any additional scanning. “As demand for processing more information about products continues to grow, 2D barcodes are going to be the dominate force in what we consider to be a traditional barcode”, said Lynne Lee, Director of Development for Wasp Barcode. A common example of this technology is QR codes. These codes enable companies to have complex interactions with consumers. QR codes have created possibilities like the virtual grocery store that TESCO built in a Korean Subway station or the extensive coupon campaign that Pizza Hut used to help drive up sales from mobile devices. Wasp offers a free QR code generator tool so that any business can create a QR code for their business. In the immediate future, you will see both of these technologies being utilized in conjunction with better scanning devices, like “self-scanning tunnels,” that can scan an item’s code regardless of how it passes through the device. These types of systems can also process items at a much faster rate even processing items off of a conveyor moving at 67 feet per minute. The second phase we see in the future of barcodes is in “image barcodes” which, as mentioned above, will be able to scan an item (like the can of Coke) based on its logo and appearance. 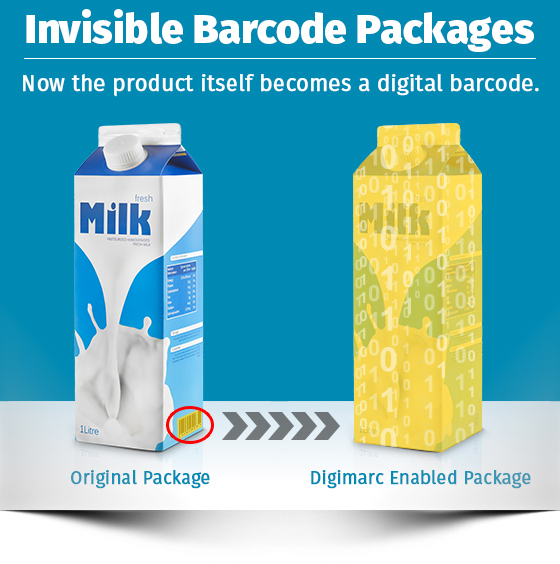 With the introduction of Digimarc Barcodes for example, where the UPC/EAN is imperceptibly embedded across the entire surface of the package, you have a package that seems to no longer have a barcode and yet is able to transmit all of the needed information at the point of purchase at a significantly faster rate. The faster scanning rate is achieved because cashiers and shoppers using self-checkout no longer need to hunt for the traditional barcode. This type of technology not only allows for faster checkout times, but it allows consumers to access additional information about the product, by simply scanning the product package with an enabled mobile app. This goes one step beyond image recognition software, like “Google Googles”, and could give brand and retailers a high level of control over exactly what consumers experience when they engage with their product. RFID and NFC (Near Field Communication), the third rapidly rising trend we are seeing in the future of barcodes, is the incorporation of radio tags, like RFID or increasingly NFC tags, being incorporated into more and more items. These types of tags enable non-connected objects, like boxes or clothing, to become an active part of the “Internet of Things,” transmitting their location in the warehouse or triggering your smartphone to show you a product video when you walk by. On the business side, RFID tags have an excellent potential on the warehousing and asset tracking side, because they can rely information over a longer distance (up to 100 meters in some cases), making it possible to know exactly how much of something you have in real-time and reducing the risk of mis-counted inventory. Many consumers are unaware of the impact this technology is already having on their lives. Take the tags your local toll road uses to collect your payment for example. In many cases, these tags are equipped with RFID chips, enabling the toll road to collect all of your relevant information, even when you’re traveling at highway speeds. Unfortunately, RFID hasn’t gained as much traction as it has the potential to. 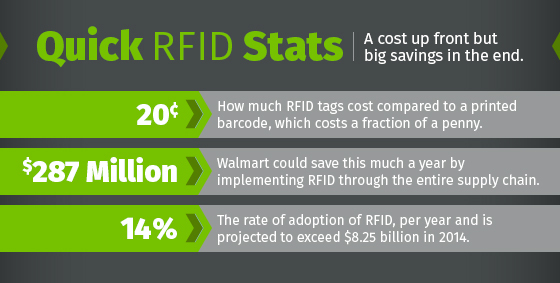 This is mainly due to the high cost of RFID tags, which in some cases cost as much as $0.20 as compared to a printed barcode, which costs a fraction of a penny. If we start to see a massive drop in the cost of implementing this technology for business, it may yet be successful. The rise of image barcode however, may overshadow the benefits of RFID on the front end of retail if it doesn’t gain rapid adoption soon. The other major hurdle facing mass adoption of RFID technology is that in order to reap the real rewards of RFID, the entire supply chain (from factory to family) must implement RFID technology. At its current price, this is an extremely expensive endeavor that requires purchasing new equipment at every level of the chain. Despite the challenges facing the adoption of RFID, usage of the technology is growing at about 14% per year according to ABI research, and was projected to exceed $8.25 billion in 2014. -Timothy Swager, the John D. MacArthur Professor of Chemistry at MIT. You are starting to see the rise of Near Field Communication (NFC) technology, the technology that powers mobile payments through Google Wallet and Apple Pay. Now that Apple phones have joined a myriad of Android devices that include this technology, IHS Technology expects 2 out of every 3 phones to be enabled to utilize this technology by 2018. 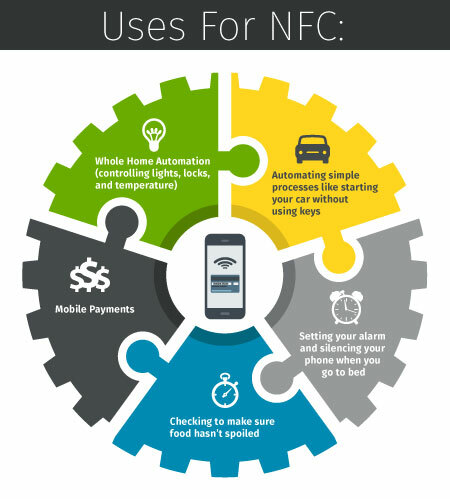 The way NFC works is pretty simple; you need an NFC “tag” and a device that can interact with it (most commonly a phone). The tag sends a command to the phone, asking it to do something, like submit a payment at the cash register. These types of tags could (and are being) embedded into products and packaging allowing consumers to gain detailed product information, like videos or reviews. For example, a research team at MIT has successfully produced a sensor that will tell you if your food is still safe to eat, simply by waving an NFC enabled device over the package. For the last 20 years barcode technology has been the bastion of bigger businesses who adopted the technology in order to passively reduce human errors and increase efficiency in business operations. 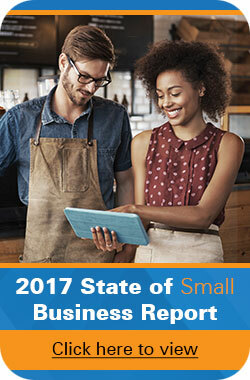 In contrast, almost 50% of small businesses don’t even use barcodes to track their inventory and assets. Thanks to the dropping cost of both 1 and 2D barcode scanners, we expect to see this adoption rate increase to between 75%-80% in the next 5 to 7 years. Over 64% of Americans are already are using smartphones. This gives them access to the internet, on-demand, barcode technology and is poised to help make the internet of things a reality for the everyday consumer as well. You will continue to see a massive convergence of smartphone technology, radio tags or packages with unseen barcodes, all designed to give consumers an unprecedented level of product information and control; anytime, anywhere. This unprecedented level of convenience and control will lead almost two-thirds of consumers to take the leap into the internet of things in the next 5 years. The 1D barcode, like countless pieces of technology before it, is nearing the end of its lifespan. As 2D scanners become more affordable and newer technology becomes more accessible we will see the 1D scanner disappear completely. The logos and images on our favorite products won’t just be for advertising and to promote brand recognition and loyalty for consumers. These logos will be what tells us where a product was made, how much it costs and when it expires. The technology is available and this is what the future of Barcodes, RFID and Image Barcodes will look like, even upgrading the way we purchase a simple can of Coke. If RFID was a more affordable option today, how would being able to track warehouse inventory in real time change how your company interacts with customers? How much time would it save you each day?